This simple CIP system for flow pasteurizers contains 2 heated and insulated appr. 100 L stainless steel containers for acid and alkali solutions, tube system with manual valves, and a concentration indicator. 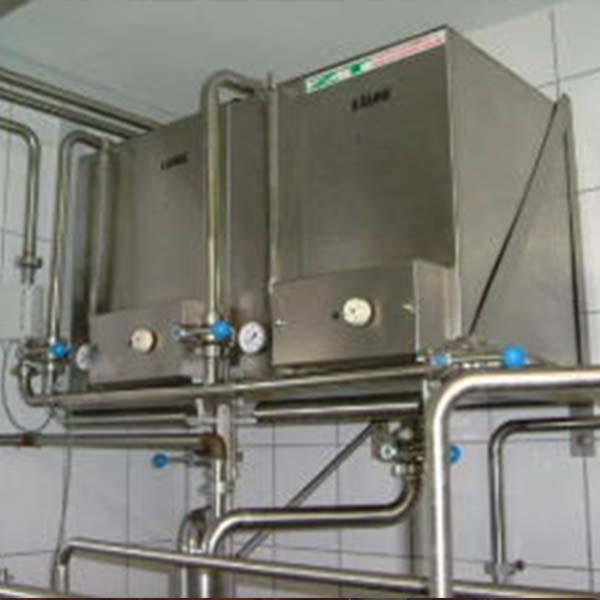 The heat exchanger’s cleanliness and the proper thermal conductivity can only be guaranteed with alkali and acidic washing each time after using a flow pasteurizer. For circulation cleaning solution we offer simple CIP system for flow pasteurizers containing 2 heated and insulated appr. 100 L stainless steel containers for acid and alkali solutions, tube system with manual valves, and a concentration indicator. Using the simple CIP system, the cleaning solution can be returned into the containers, minimising the waste, and saving the environment. Includes all items, required to clean the HTST pasteurizer. 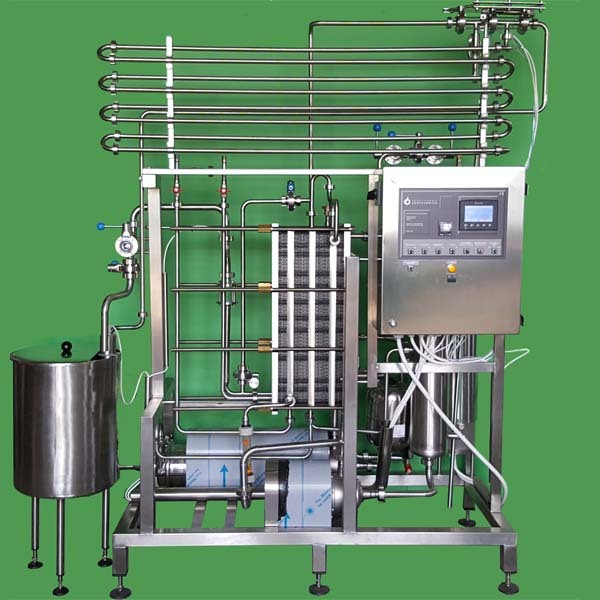 Juice Pasteuriser equipment for clear, filtered juices, water, soft drinks and wine for pasteurization of liquids from 1 mm to max. 5 mm solid partical sizes. 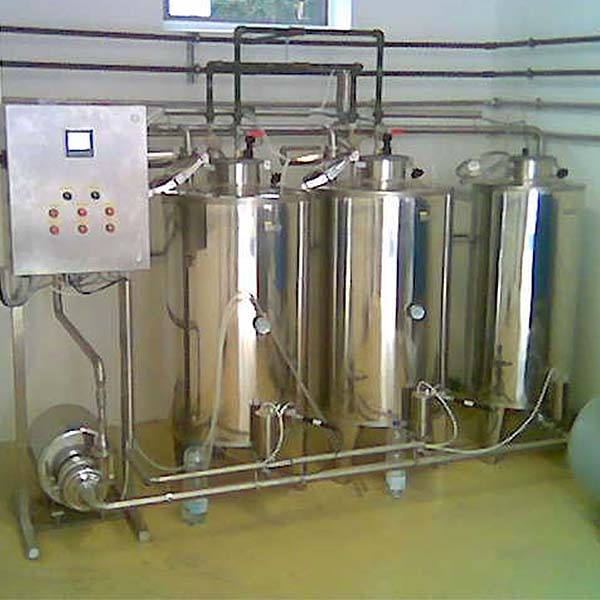 CIP cleaning of small and medium-sized dairies, process plants, filling systems and tanks with minimized chemical, water and energy consumption. 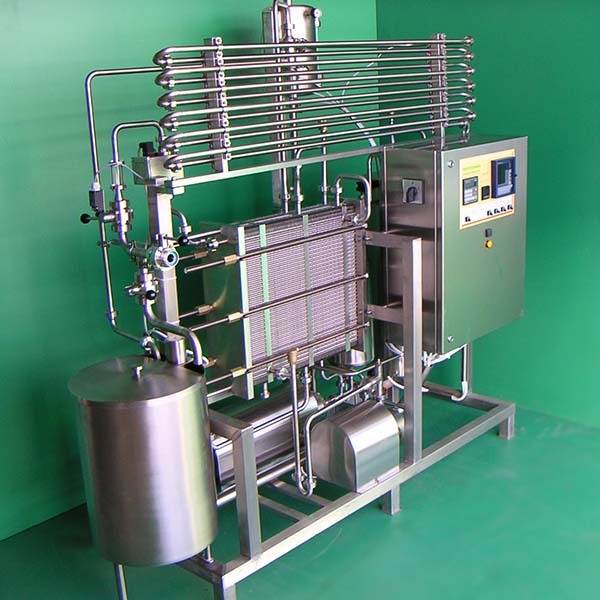 Flash pasteurizers with a capacity of 400 up to 5000 ltr/hour for drinking milk, cream, yogurt as well as other food products as soft drinks and juices.